How does one maintain a facility of 4.2 million square feet, with five acres of roofs, that is two city blocks long and has 375 tenants? And, how does a building built in 1930 (also the largest building in the world at that time) compete with current technological innovations and new energy conservation trends? The answer lies in having accurate data, which can be a challenge considering the sheer size and age of this particular building. 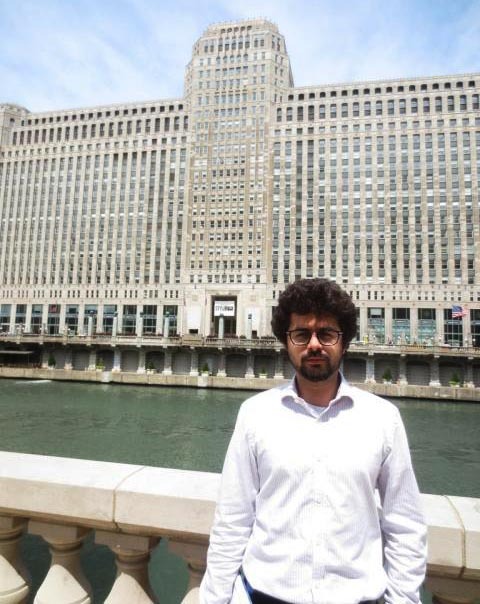 The building I am referring to is the Merchandise Mart. Also called ‘The Mart,’ this building centralizes Chicago’s wholesale goods businesses by consolidating home, office, casual furnishings and a large variety of luxury home kitchen & bath showrooms under one roof. At the same time, the building now forms part of Chicago’s growing tech triangle community near the famous city loop as 1871, Motorola Mobility, Braintree, All Scripts, CCC and Yelp are in the building. 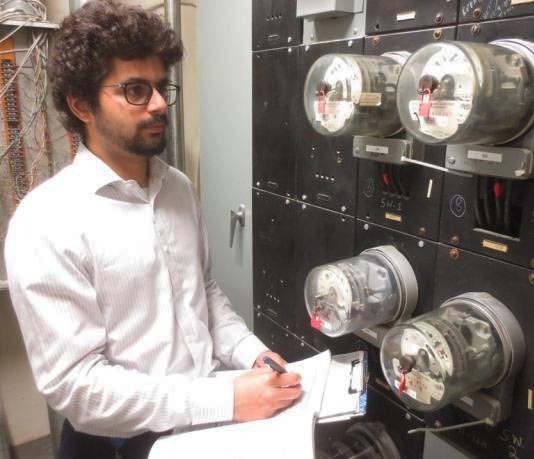 Every EDF Climate Corps fellow can fathom the potential of implementing energy efficiency measures – especially since it is a current industry trend. However, this does not come without challenges. As a student at Duke, I thought putting in long study hours, deskbound in a library only to be chauffeured home by campus safety was difficult. Everything came into perspective when I was asked to spend a night at the Mart, walking in the building, climbing stairs, reading and recording 839 meters in 250 closets spread over 25 floors! This was necessary because of system limitations at the Mart; my host supervisor and I realized that the only way to capture ‘after-hours’ load assessments of the building required manual meter reads of each tenant. Armed with only building floor plans and a clipboard, from midnight to 6:30 am, sleeping over at the Mart gave ‘challenging your limits’ a whole new meaning. Taking my usual red and brown line trains towards the famous Chicago Loop, I headed towards the downtown skyline for the second time that day, but at 11pm. As I re-entered the Mart, it felt like a ghost town; not experiencing the usual rush hour at the Mart was bizarre. There were no waves of people crashing into the lobby. I could not smell the coffee brewing, the lemony fresh iced tea bars, or hear the whirring juicers of Jamba Juice. I could not hear sales people call out orders or the bustling food court. For the first time, it was all too quiet. Something felt amiss, but we had a mission to complete. My host supervisor and I made our way through the dimly lit building, unlocking each electrical closet, reading each meter and resetting the registers one by one until sunrise. We passed through corporate suites, through dark offices, R&D labs and tenant spaces, covering miles of ground. Every floor space presented a new obstacle. Sometimes we would come across floors devoid of any light. Other times we would find a floor lit as brightly as a Christmas tree, halogens ablaze. As we physically surveyed spaces we recorded high-energy users and audited tenant plugs and supplemental load. We even decided to track calories burned. Lo and behold, we burned a whopping one thousand calories after walking 11 miles in one night. Who knew being an EDF Climate Corps fellow would give me such a work out! Every so often we came across security guards completing their rounds. They would stare at us for fishing around electrical closets in the wee hours of the night and questioned us for peeking into tenant spaces and around electrical panels. As the sun came up and tenants finally began to pour in, we left feeling exhausted and flushed. As I headed to my office to catch a quick revival nap, it felt like only seconds had gone by when a strong tap on my shoulder awakened me. I was slumped over in my chair. It was early morning and time for a new workday at the Mart. While extremely exhausting, the sleepover allowed me to capture a solid baseline of data as well as a complete picture of the tenants’ energy and power usage. We found why the Mart uses a whopping two megawatts of power after-hours, but we also collected enough information to see which specific tenants can cut down on their energy use. For future tenant engagement work, this data will help target specific vendors that have the most potential to become more energy efficient. This blog post originally appeared on the EDF Climate Corps Blog. EDF Climate Corps (edfclimatecorps.org) taps the talents of tomorrow’s leaders to save energy, money and the environment by placing specially trained EDF fellows in companies, cities and universities as dedicated energy problem solvers. Working with hundreds of leading organizations, EDF Climate Corps has uncovered nearly $1.3 billion in energy savings. For more information, visit edfclimatecorps.org. Read our blog at edfclimatecorps.org/blog. Follow us on Twitter at twitter.com/edfbiz and on Facebook at facebook.com/EDFClimateCorps.